VExPrT (Vision Executive for Production Test) is a hardware and software platform for performing automated vision inspection. The hardware consists of an enclosure which provides uniform lighting and a structure for mounting digital cameras. The software utilizes NI-VBAI and provides functions for inspecting label text, bar codes, and general features of parts. VExPrT is a turnkey software package for automated vision inspection. Inspection images are acquired live and passed or failed with options for operator override. Previously acquired images may also be processed in the same way. Utilizes National Instruments VBAI (Vision Builder for Automated Inspection), a simplified environment for create vision inspection algorithms, to identify bar codes, characters and other features of manufactured parts. Also utilizes the National Instruments Vision Development Module for maximum flexibility in post-processing of images. Provides a user interface for selecting configuration profiles and creating new ones and simple switching between different parts and inspection options. Does not need to rely on fixed region of interest (ROI) configurations. VExPrT can search for and scan barcodes located anywhere on the part, find crooked labels, and adapt to a variety of other variations. 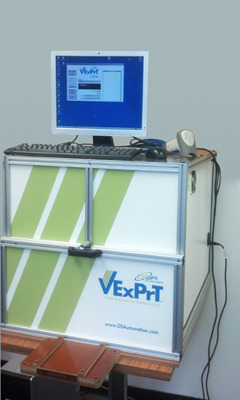 VExPrT’s configuration-based approach allows for simple management of developed vision inspections. Tested parts that share the same or similar features can utilize the same vision inspections rather than requiring the user to create new inspections for each part. VExPrT is a vision inspection hardware solution in the form of VExPrT boxes. Provide uniform lighting for consistent inspection performance and eliminate any ambient lighting that could introduce inconsistent inspection results. Accommodate multiple color USB cameras for viewing parts from various angles. Boxes are available from DSA and are completely customizable. 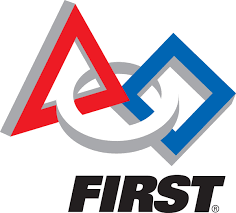 Database connectivity for retaining inspection data and storing test results. Adaptive inspection: automatically choosing inspection profiles based on preliminary recognition of inspected parts. Automatic form-filling and printing and interfacing with various label printing systems. Custom data entry user interface screens. Click here to download the VExPrT Product Aid.